Rhyll McMaster has worked as a secretary, a burns unit nurse and a sheep farmer. She has been poetry editor of The Canberra Times, a freelance editor, a chairperson and judge of literary awards and fellowships, a film scripts and manuscripts assessor, a guest and panel chair at literary festivals in Australia and the UK, and a books reviewer for major newspapers and literary magazines. POETRY: With seven poetry books to her credit, she is considered one of the best poets writing in Australia today. Her poems have been appearing in Australian publications since she was sixteen, and have been broadcast on national radio and television. She has staged her poetry in a performance piece with a rock singer and a four-piece band, and her radio play was broadcast twice by the ABC. A large selection of her work is included in the seminal poetry anthology Australian Poetry since 1788, Lehmann & Gray eds., UNSW Press, 2011. Her poems are included in the Best Australian Poems 2010, 2011 and 2012. 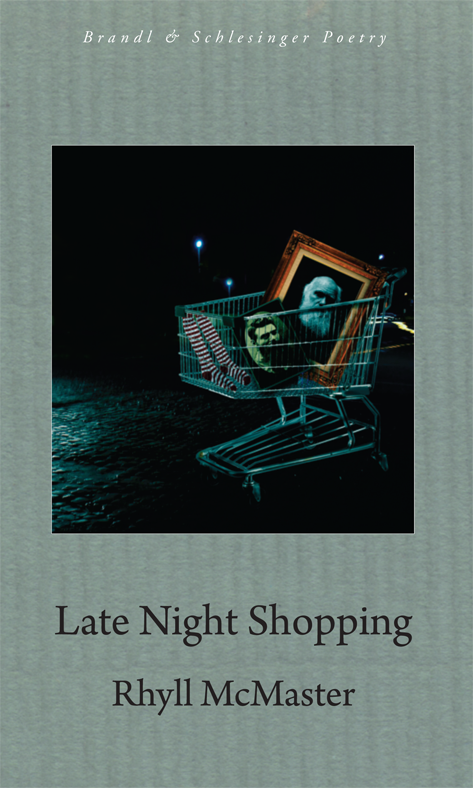 Her latest book of poems is Late Night Shopping, Brandl & Schlesinger, 2012. It has been shortlisted for The Age Book of the Year Poetry Prize and the Judith Wright Calanthe Poetry Prize, Queensland Literary Awards, 2012. It has been highly commended in the Prime Minister’s Literary Awards, 2013. “This is poetry about not being brilliant, but the reader should not believe it for a second.”-Aidan Coleman, Cordite Poetry Review, 3 Oct 2013. “As a collection, Late Night Shopping has a remarkable nocturnal mood, fragmentary and almost somnambulistic, miscellaneous and darkened. … dream-like, intimate and unsettling … the book is ambitious and fiercely intelligent, butting science and its philosophies up against the impulses and thought processes of poetry … death haunts these poems with a remarkable physicality … the images are startling, and delightfully fresh … McMaster’s Kelly poems are tough and stark, and intensely coloured. … Indeed, tropes of painting, colouration and dye carry much of the emotional weight of the poems, and re-imagine something of the impulse of their creation … The poems in the final section are among the finest in the collection … built of stripped-back language, but her real skill is her ability to craft a devastating last line – often simple and plain-speaking, but remarkable in its resonance. … there is something dark and vital at the heart of them all, an ability to stare directly at death and at the limits of our consciousness, and confront the questions that challenge the ways we live.” – Fiona Wright, Spectrum, Sydney Morning Herald, May 26-27, 2012. “It is a long time since I have read through a book of poems where one has that slightly tense sensation of wanting to press on swiftly because what has unfolded so far has created a suspense for more, while wanting to linger because some of the lateral thinking, exactness of imagery, deftness of verbal music, uncompromising directness of perception, have literally been arresting. The collection is splendid, the voice always incisive, the thought often playful and lateral, the craft assured and natural.” – Alan Gould, poet and novelist. FICTION: Her first novel, Feather Man, set in Brisbane and London, was published in Australia in 2007 by Brandl & Schlesinger to excellent reviews. It was published in the UK, USA & Canada in 2008 by Marion Boyars. It won two major Australian awards and was shortlisted for two others. In 2011 it was translated into Mandarin by the Anhui Literature & Art Publishing House, and published in Ukrainian by Dnipro Magazine. Feather Man was favourably reviewed in The New Statesman and was recommended as Pick of the Week in The Boston Globe. It was chosen for special promotion through independent bookshops by the American Booksellers’ Association, both as a Choice of the Month and for their Highlights list, and was chosen for promotion in the US by the Literary Ventures Fund. It was discussed as Book of the Month on the online Barnes & Noble Book Explorers Club. Feather Man is stocked in English-language bookshops, including the Shakespeare & Company Bookshop, Paris. It is in its second Australian edition and has been published as an Audio book. It was listed as a ‘Favourite Australian Novel’ in a reader poll, ABR Magazine, 2010, along with books by Tim Winton, Patrick White and David Malouf. Rhyll was interviewed on PRI’s The World radio program hosted by Lisa Mullins and broadcast across America. Rhyll has been a guest of the major Australian literary festivals; the Southwold Literature Festival, UK, 2008; and has conducted seminars on her novel at Sydney University. She will be featured in an ABC TV segment, The Writer’s Room in 2012. Current Work: a novel titled The Politics of Love, set in Broome and Sydney. This work has been made possible under a two year Australia Council New Work-Established Writers’ Grant, 2010-2011. FEATHER MAN: Fiction. Brandl & Schlesinger, Australia, 2007. Australasian and Foreign Rights: Brandl & Schlesinger. English Language Rights: UK/USA & Canada: Marion Boyars Publishers, 2008. Chinese Translation Rights: Anhui Literature and Art Publishing House, 2011. Ukrainian Translation Rights: the Dnipro Magazine, 2011. Feather Man tells the story of a young woman who survives a difficult childhood in her Brisbane hometown to become a portrait artist in London. We follow her as she makes all the wrong choices in love, and struggles to establish her identity. Along the way she encounters a host of appalling and fantastic people, like her lover, the charming but narcissistic Redmond. Sooky herself is difficult, flawed, but very much alive, as she uses her wit and unconventional view of the world to fight herself out of the dark background of her past. Helen Oyeyemi, author of The Icarus Girl, New Statesman, (UK review) 17 April, 2008. ‘This beautifully written and disturbing Australian coming of age novel grabbed me from the first page. Sooky struggles to overcome her difficult childhood, with a father who abandoned the family, an emotionally distant mother and abuse by the one person to whom she felt close. The effects of this childhood are powerfully portrayed as Sooky moves from relationship to relationship and from Brisbane to London. It is her growing sense of herself as an artist which balances the pain.’ Boston Globe ‘Pick of the Week’, Shelf Life column, Nancy Felton, Broadside Books, 28 September, 2008. *ForeWord is a trade magazine that exclusively reviews independent titles in the US. 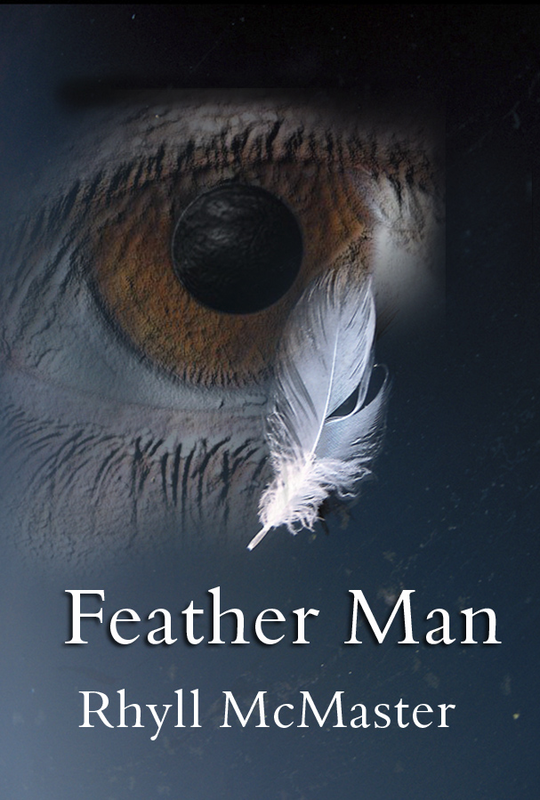 Feather Man has been getting 4 & 5 star ratings on Amazon reader blogs. Eve Abbey in Abbey’s Bookshop newsletter, Issue #215, August 2007. Highlife Magazine, Country Life in the Southern Highlands of Australia, 2007. Catherine Freyne, Producer, The Book Show, ABC Radio National. Kerryn Goldsworthy in The Australian, Review, June 2 – 3, 2007. Kerryn Goldsworthy in The Australian Literary Review, July 4, 2007. ‘Whose girl are you? It’s the question everyone asks in this spiky little bildungsroman – a tale of growth and development – and our protagonist, Brisbane-born boomer Sooky, never really knows the answer. …men will loom over Sooky in one way or another, demanding to know whose girl she is. Sooky is observant and clever and at times wonderfully funny. At a gallery opening, annoyed by the old man leering at her breasts, she grabs his hand and says ‘why don’t you have a feel, since you’re so keen’. ‘Feather Man is boldly original and self-assured. The narrative voice is darkly witty, but beguilingly honest. Nothing is sugar-coated here…Sooky is the consummate loner, albeit a girl with guts and a sense of irony’. Karen James, co-producer/presenter in OzWrite – National Community Radio Network book program, June 2007. Anthony Hassall, Emeritus Professor of English Literature, James Cook University, in Westerly, Vol. 52 2007. Rachel Slater in Australian Women’s Book Review, Vol.19 No.1 2007. ‘…black comedy, of the fierce and painful kind, full of disasters and farcical pratfalls and trust betrayed.… a getting of wisdom steeped in social satire, with elements of the fairy tale (Cinderella meets Bluebeard) and Greek myth, it unfolds in the first person… remarkable for its poise and concision, its irony, its trenchancy. Her eye is relentlessly sharp… the momentum is irresistible. …the last word, coming as it does with the full weight of the book behind it, hits like a whiplash. Eileen Chong, an essay, Reclaiming Identity in Rhyll McMaster’s Feather Man, Hecate, Vol. 34, No. 2, 2008. Peter Bishop, Director, Varuna Writers’ Centre, Blackheath, NSW. Sally McInerney, author and photographer. Tom Shapcott, poet and author. Jeni Caffin, Director, Byron Bay Writers’ Festival. ‘I thought it wonderfully well written and a novel of “our” experience in Australia. The emotion of this book lived with me from the confronting opening to the fairytale ending…here is an author to pursue in the future –Loraine L.
To find out more about my work visit my website. Really enjoying the Tuesday tutorial sessions – thanks for your generousity and wisdom. Feather Man is the best novel on our reading list! I am in agreement with Julie on the quality of your writing. I’ve found an unpublished reference that suggests that Ted Hughes expressed admiration for your poetry at Adelaide in 1976. Am I right? If you emailed me, I could send you what he said. With apologies for troubling you via this public format: couldn’t find a private email. I want to send you an invitation but, like Jonathan Bate above, cannot find a private email address. Would you please email me so I can send in reply?